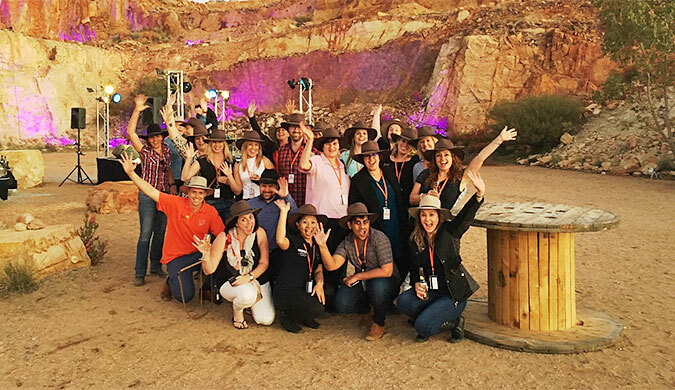 Alice Springs was promoted as a unique business events destination last week when 20 national business event planners from across Australia took part in the 2016 Alice Stampede. The four-day program highlighted Alice Springs’ offerings to business event planners from association and corporate organisations while connecting them with local business event suppliers and operators. Currently in its fifth consecutive year, the Stampede has resulted in business events that have generated an estimated $8.8 million in visitor spend for Alice Springs. The program is designed specifically to boost Alice Springs’ profile as a vibrant and unique destination for business forums and conferences. The Stampede also provides business event planners first-hand experience of the world-class facilities, venues, accommodation and services that Alice Springs has to offer and encourages them to choose the Red Centre for their next big conference or event. The Alice Stampede was organised in partnership between the NT Convention Bureau and the Alice Springs Convention Centre.